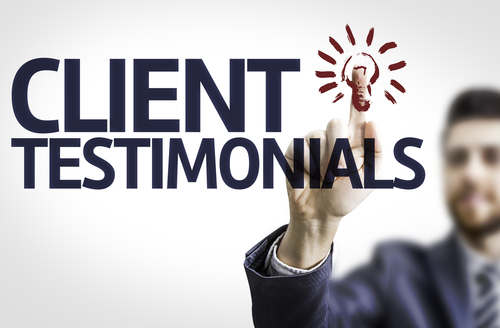 While most people know the value of client testimonials they often miss the opportunity to get great testimonials, designed to help them make more sales. You don’t want to end up with ‘nice-guy’ or ‘nice-gal’ testimonials that say ‘nice’ things about you but fail to show others why they should do business with you as well. After all that’s the point, isn’t it? To attract others who are looking for the same results? So, what you really need is results-based testimonials that are written in first person. Or you can use a case studies which are pretty much the same thing only they are written in third person. I recommend you have a mix of both types because that will add variety. Think of testimonials as a short ‘before and after story’ or ‘once I was lost….and now I’m found’ and you’ll quickly see that it’s not all about you! Like all good stories there’s a structure and the good news is there are only 3 sections to structure a winning results-based testimonial or case study. Describe their problem or challenge before they began working with you (this is the before story). How bad was it? And don’t hold back – these are real life situations so the worse the problem the better! What did they learn or do as a result of working with you? What got to happen for your client as a result of what they learned or did after working with you? You need to make this as quantifiable as you can. You can put a figure or percentage on almost anything so always use measurable, specific results in your example. Here’s an example using a professional organizer who we’ll call Sally, of what you’ll achieve when you put it all together. “My office was in such a mess I couldn’t find anything in a hurry. So I was wasting a lot of time and energy. I certainly didn’t want to bring my clients there because I was too embarrassed about the clutter. Thanks to Sally’s organizing skills I learned how to quickly clean up the mess as well as how to get and stay organized so I won’t slip back into bad habits. It’s so much easier than I could have imagined. 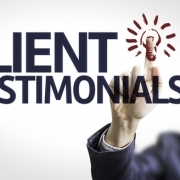 My tip is to ask all your clients if they would like to help you by providing a testimonial. People love to help other people and I’ve never been refused. You can make it easy for them by giving them these guidelines or better still, offer to write it for them for their approval. 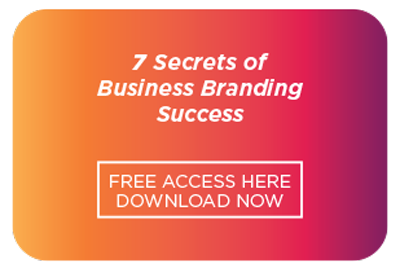 This will save them time and effort and guarantee you get a winning testimonial to help you make more sales. You can never have too many results-based testimonials and you can exploit all the mediums of written copy, audio and video to power up your marketing. Testimonials & also Reviews on Google & Social Media, are pure gold, when done properly. VIDEO testimonials add another dimention of authenticity & value, if you can them done. Thanks Paul, and as a videographer you’d be well aware that one of the hottest mediums for online marketing is video. Capturing client’s on video, edifying you and what you did for them can be so easily ‘shared’ across all your social media platforms. Very nice and helpful article, Kathleen. Great tips for getting useful testimonials. Very clear, practical, step-by-step. Definitely will be using this “formula” and ideas. This format is really clear and very useful. thanks much! What I find Harriet, is people are very willing to help you – you only have to ask. And make it easy for them!